To be honest yesterday was so travel oriented that I just should call it day 0. The real climbing started today. I fotgot already how much fun limestone is. It just eats up skin on your hands. 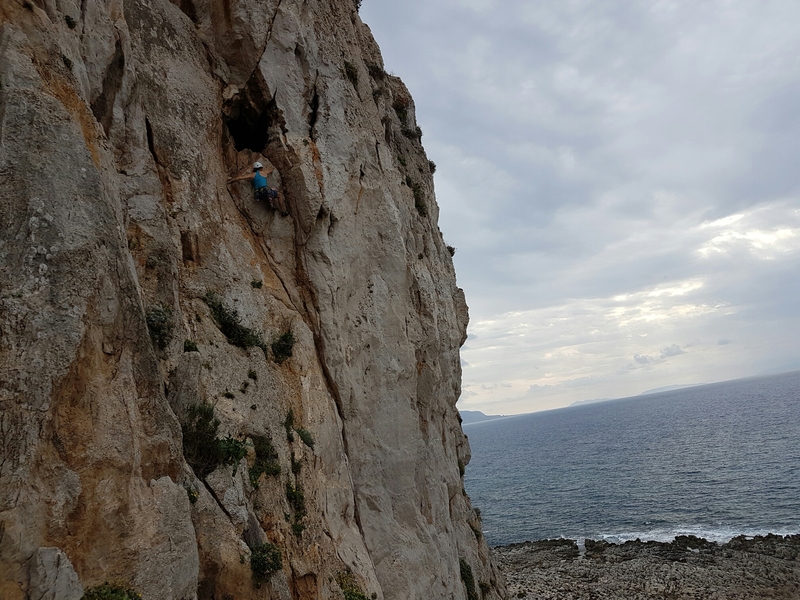 For the trip’s warmup number 2 we visited the first sector (north facing so in nice shadow) of a very long crag called Cala Mancina – the White Wall. On the photo below, that shows most of the crag it’s the sector to the very left. Monika paired with me while Rob and Sonja got on together. They all had common abseil point and bar few first moves on the last one were all very easy. After that we moved right where the game was. Again I onsighted all (but the last climb) with Monika flashing or red pointing after. Slay back 6b 20m TR – definetly the best of all. I wish inlead it, but i started to rain so we were in rush to clean it and fold. Above Sonja on Slay back, 6b. I think I’m stronger than I thought I was, or maybe the grades are just more realistic. 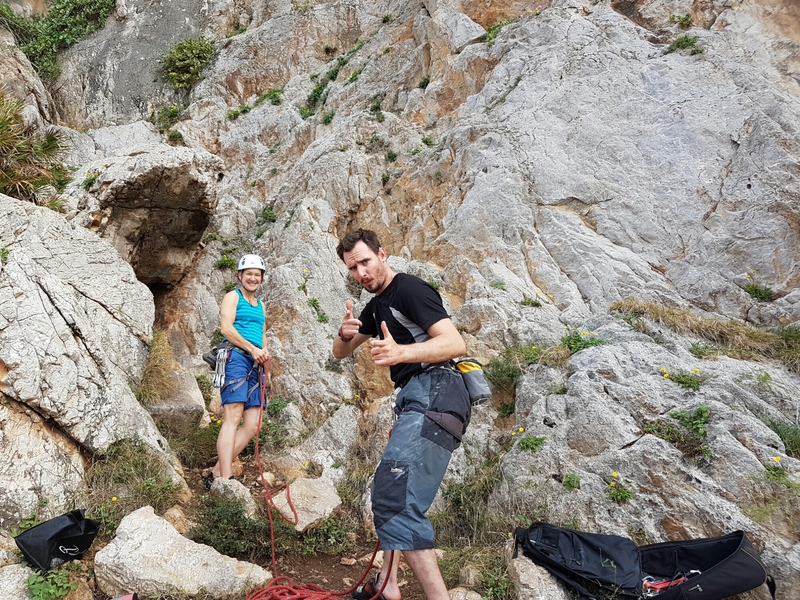 Sonja and rob did pretty much whatbwe have (without the easy warmup section), but they also added 2 or 3 6b routes. This definetly was a good primer before we set of for future adventures. I know that if I compose myself 6c isn’t out of the question. But then its all about having fun and today we all had plenty!